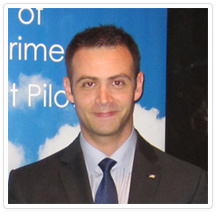 Vitsasaero was founded in January 2013 by Aeronautical Engineer Dr Panagiotis A. Vitsas. Its scope is the provision of Aerospace Consulting and Training services in a broad spectrum of scientific areas. From conceptual aircraft design, to flight simulation and flight testing we are able to take up any challenge and lead it up to success through responsibility, commitment and professionalism, in an unmatched cost. Our team is composed from a flexible international network that is synthesised to be perfectly adapted to each and every project. Vitsasaero is a company that is based on a multidisciplinary background, highly technical skills and a never-ending enthusiasm, striving every time for excellence and absolute customer satisfaction.